After 17 years playing for Liverpool FC, Steven Gerrard has decided to leave the club of his heart and embrace a new chapter in his life. The Reds captain will be joining the MLS and the LA Galaxy this summer and play his last season as a footballer in the United States. Cristiano Ronaldo has sent him a short video earlier this Thursday and wished him the best for the future. 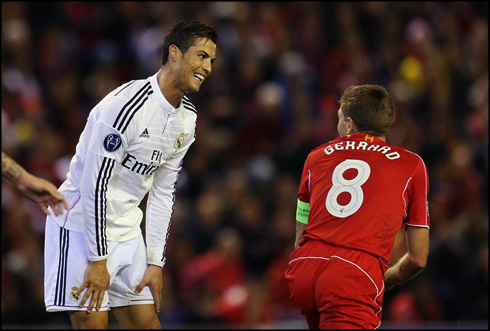 Even though Cristiano Ronaldo never played alongside with Steven Gerrard, that didn't stop him from paying his tribute to the Liverpool legend, now that the 34-year old midfielder is about to play his last game for the Reds next Sunday. 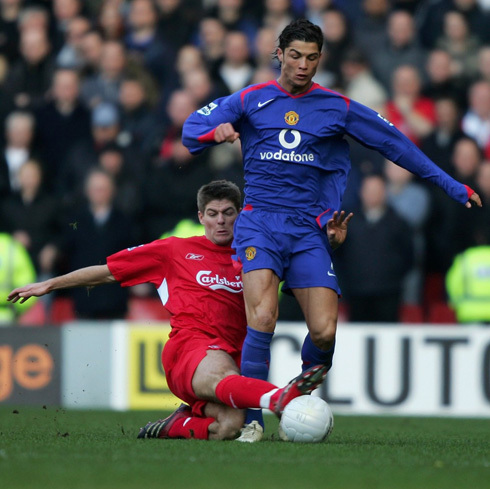 The Portuguese superstar, who had the chance to play against Gerrard in multiple occasions during his journey in England and while defending Manchester United's colors, has also faced the Liverpool captain earlier this season in a Champions League clash for Real Madrid that ended with the Merengues winning 3-1 in Anfield Road. Earlier today, Ronaldo showed his appreciation for his colleague and shared a video in which he paid his respect to Steven Gerrard and for the great career he has had. Cristiano Ronaldo: "Hello Steve! 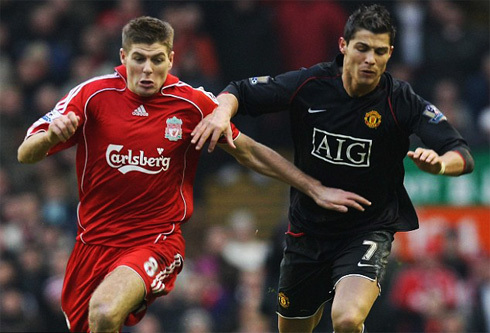 Just to say that it was a pleasure to have played against you during so many years in those Manchester United vs Liverpool games. You are a fantastic player and I wish you all the best for the rest of your career and for your life", commented the 3-times FIFA Ballon d'Or winner before sticking his two thumbs up in the air. Gerrard's first game for Liverpool takes us back to the 29th of November of 1998, a Premier League fixture against Blackburn Rovers. Since that day, the Reds' captain played in 706 fixtures for the Merseyside club, having scored a total of 183 goals in a 17-year period. Steven Gerrard: "I would like to start by thanking everyone at the club for these past 17 years. There's just too many people to name one by one, but the most important support I've always had came from Liverpool fans. I've played in front of many different crowds around the world, but I must say that Liverpool fans are definitely the best in the game. Thank you very much and all the best", stated a very emotional Gerrard, when saying his goodbyes at Anfield last weekend, in his last match for Liverpool. The 114-times international for England had his career highlight for Liverpool in 2005, when he led his side into winning the UEFA Champions League in an epic final against AC Milan. However, one of his biggest disappointments was beyond any doubts not having won any Premier League title for Liverpool. 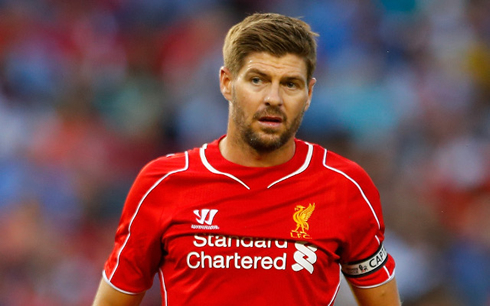 Gerrard: "It's by far the biggest regret I have during my time here. I would have loved to be able to leave this club and say that I've got the full collection in terms of titles, it would have been the icing on the cake...", commented the Liverpool midfielder when asked about how big of a disappointment was it not having lifted the Premier League trophy. Next season, Gerrard takes on a new challenge in what will probably be the last adventure in his career, as he'll travel to the United States to become an LA Galaxy player. Cristiano Ronaldo next game will be for La Liga against Getafe, on the 23rd of May of 2015. You can watch Juventus live stream, Real Madrid vs Getafe, Barça vs Deportivo, Hull City vs Manchester United, Arsenal vs WBA, and Borussia Dortmund vs Werder Bremen, all matches provided from our soccer live game pages.